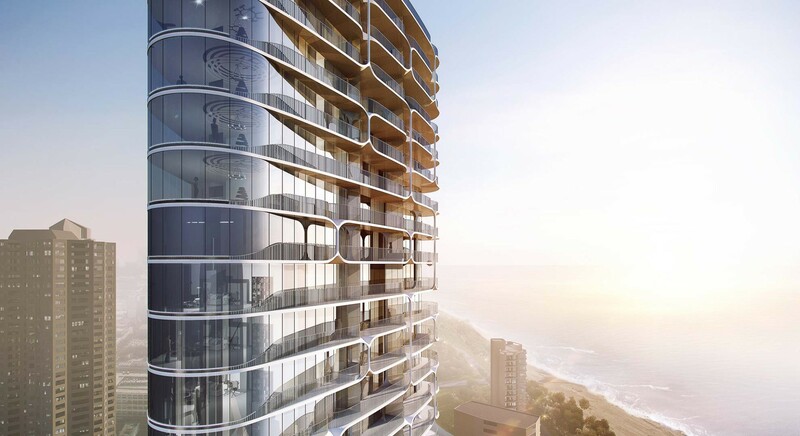 The New Queenslander is a climate responsive, service apartment building with the dominant position along the Gold Coast Highway. The capacity of The Queenslander is 198 apartments with outdoors amenities concentrated in the podium of the building. By appropriating local indoor-outdoor living, the proposal works around the Queensland lifestyle and its climate. All rooms are equipped with the extensive, solar protective, breeze providing Queenslander’s terraces, which are also the main design device of the scheme. The building amenities are set to prioritize the demands of the domestic visitors, who present the majority of the guests. 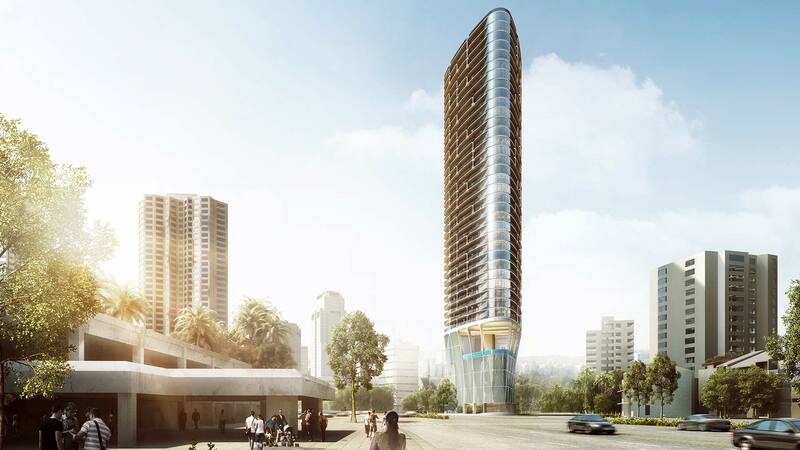 Placed on a relatively small site, 150m away from the Surfers Paradise Beach on one side and 50m away from the river bay on the opposite side of the road, the design reacts directly to its surrounding. The proposal connects landscaped ground level into the lobby and turns it into the vertically distributed set of experiences. It has a pool lounge, gym, multifunctional spaces and residents landscaping deck including an outdoor infinity swimming pool. The design concept works under the slogan: ‘From the Colonial to the Indigenous’. The serviced apartment tower is designed ‘inside-out’ with the articulated veranda space, which is partially sheltering and partially enclosing private spaces. 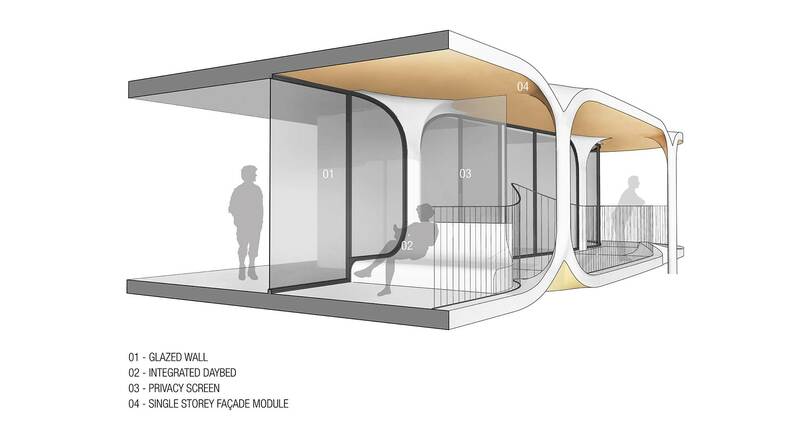 This design principle allows interiors to connect with the exterior and be able to use them as an extension of the living zone. 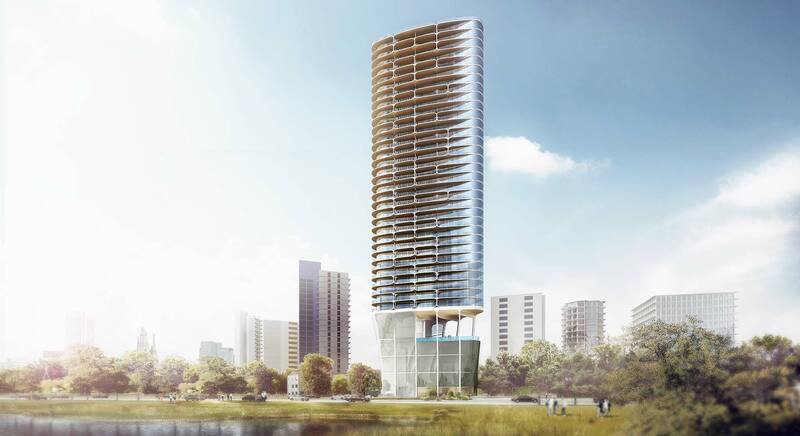 This vertical Queenslander has a solid, introverted podium and a permeable, extroverted tower. The Surfers Paradise Beach is 2 minutes walking distance, while the man-made beach on the top of the podium offering the swimming moments without leaving the building. This pool on the podium top is positioned above the void of the ground floor public space. The design of the Queenslander is a vertical climatological foliage, which can be viewed as a new typology, which aims to attract the demands for the planet and design-conscious travellers.